So, you want to make the reunion, but the Tooth Fairy hasn’t dropped by in decades and you’re a bit short. So short, in fact, that you are contemplating cooking up the soft parts of your car. Fair enough. Send an e-mail to Reunion and let me know. We’ve received some donations, and the amount of help we can offer will depend upon how much is donated and how great is the need. I am asking donors to contribute to a special fund to help our comrades in arms. No one but Ken will know to whom assistance has been given, and no one but Ken will know from whom donations have come. If I die before the reunion, I’m taking it all with me. Please make your own lodging reservations, either online at www.wwconferencecenter.com or by calling toll free, 866-851-0393. 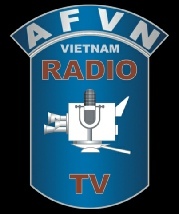 Be sure to mention the AFVN reunion to get our reunion rate. Use the back of this form for additional names. Do you have special dietary or health issues about which we should know? If you are requesting assistance, please do not ask on this form. Complete the form as you hope to participate and mail it. E-mail your request for assistance to ken@carmabiz.com. Questions? Call Ken at 612-819-5823.